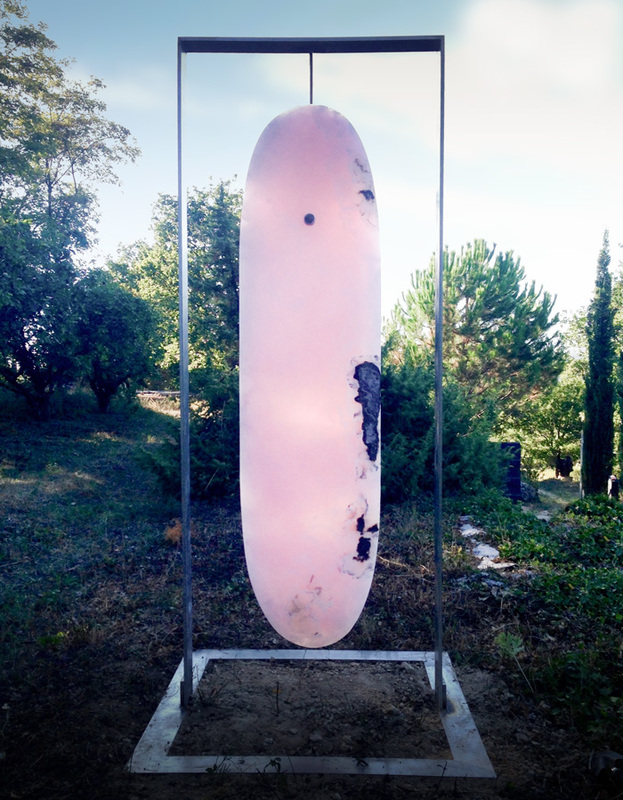 Gabriel Sobin’s work touches the soul. 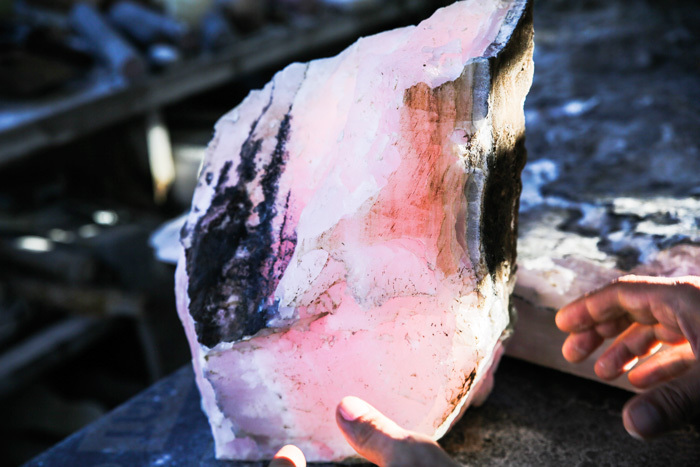 He transforms magnificent pieces of stone into light. There is an ethereal beauty that is both powerful and delicate in the pieces he creates, as though untouched by the human hand, a sort of Alchemy. 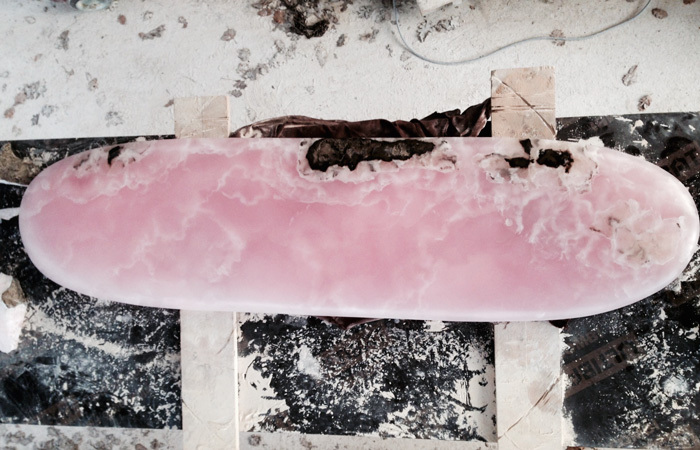 His work is truly alive not just because of the sentient nature of stone but because he opens it up to us in the most beautiful and elegant way. Both the artist and his work are imbued with natural elegance and this grace that emanates from his art is what makes being in its presence so inspiring. It allows for dreaming and connecting us to what is beautiful in our own lives. 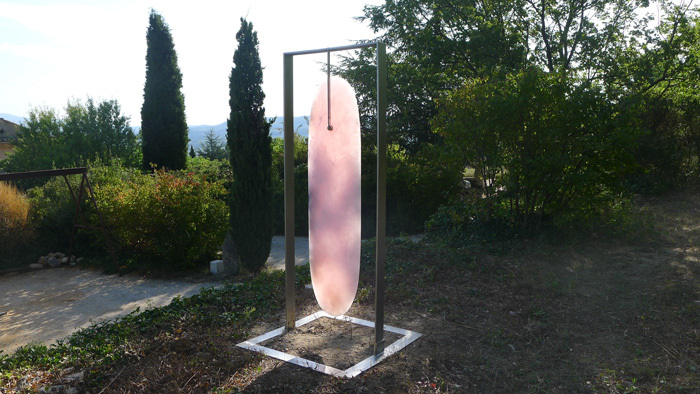 Pink onyx monolith, stainless steel frame.